Some sewing progress is being made. Summer activities are starting to take up more time... 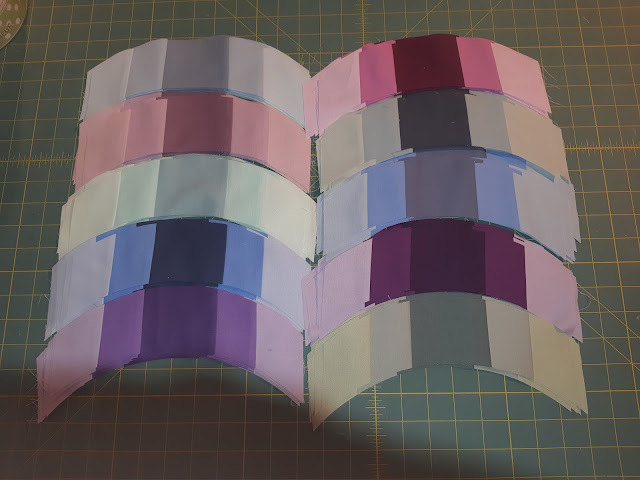 I have now made all the strip sets, plus some extras for pillow shams and in case I need more of one colour than another, depending on the final layout. I now have 1/3 of them cut into arcs. Next step is to cut out some of the background pieces.